The Cold Steel Walkabout Stick measuring 38.5" in length is a walking stick that is so much more than just an aid to stability for the injured, ill, or infirm. it?s also an excellent tool for traversing rough, slippery, uneven and treacherous terrain, or a useful pointer or probe. In dire straits, it makes a capable self-defense option. 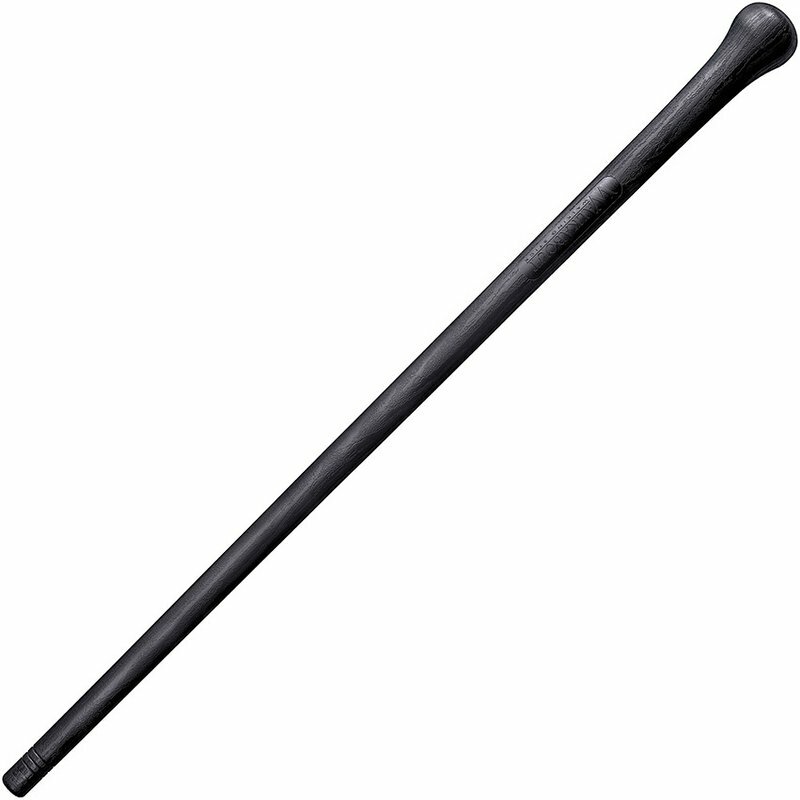 The Walkabout Stick is made from tough, durable, and highly impact resistant polypropylene. Unlike wood, the polymer is extremely weather resistant and withstands inclement conditions that would cause a conventional sticks to crack, warp, or rot. Its handsome wood grain texture provides an excellent grip without sacrificing comfort or ease of use, and it?s simple one-piece polypropylene construction makes it deceptively tough while still remaining light enough to carry and use all day. Dimensions: 38.875"; Construction: Polypropylene; Handle: Black l Polypropylene; Other Info: One piece black high impact resistant polypropylene construction with wood grain texture and oversized pommel. Weather resistant. Bulk Packed.